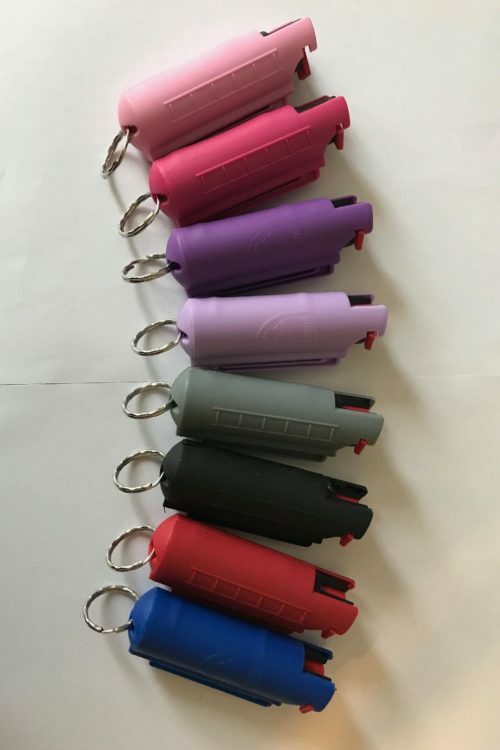 1/2 ounce hard case pepper spray makes security and protection convenient, safe, effective and appealing. The powerful 18% OC (red pepper) ingredient is concentrated to quickly immobilize an assailant and prevent a violent attack from up to 12 feet away with its stream dispense action. The hard case key chain design allows for direct use from the housing with a quick, twist-top actuator and safety slide to prevent accidental discharge. Laboratory tested, anti-leak formula for optimum assurance. 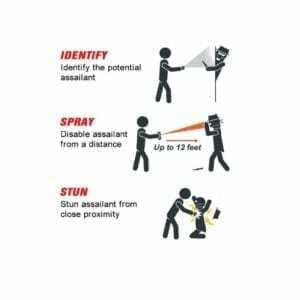 You will also receive a FREE “Effects of Pepper Spray” poster. By law, we cannot not ship to Hawaii, Indiana, Massachusetts, Michigan, New Jersey, New York, Pennsylvania, Rhode Island, or Wisconsin. 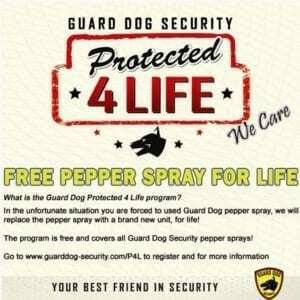 All pepper spray sales also receive a FREE “Effects of Pepper Spray” poster.